What frame exchanges are part of a device joining an SSID? We’re raffling off a two bundles of the CWS & CWT books from CWNP. Two winners will get a copy of each book. If you’re getting into Wi-Fi or would like to know the fundamentals so you can sell Wi-Fi then this is a good resource to use. All you have to do is fill out the form below. Our feature wireless engineer for this episode is Dustin Johnson. We ran into him at Cisco Live by accident and he happens to be a listener of the show! Listen to the episode to hear him answer François’ 10 questions. How does the station (STA) and access point agree to this connection? We’re going to break down the steps and the frames that are part of a STA connecting to an access point. The STA begins the process by performing a passive or active scan. In passive mode, the STA is listening for beacons from an access point. The beacon frame contains the BSSID which is the MAC address of the radio sourcing from the access point. 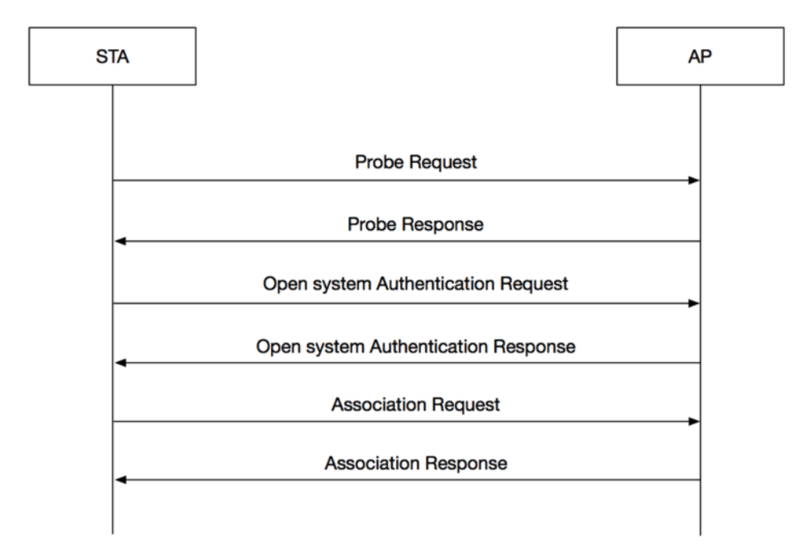 The beacon frame is a type of management frame defined in 802.11-2016. It includes capability information and parameters. I wanted to take a moment and offer my most sincerist thanks, appreciation and respect to the work you do. There are a lot of bloggers out there and I hav been in this game since before 802.11 had “b” after it, 20 + years or so. You truely add tremendous value to the wireless community and you offer you time, expertise and resources which I know you do addition to your day job. Keep it up you ROCK! It helps us to keep creating the content we create. We’re always trying to provide as much value to our listeners.